Rodrick de Munnik is the editor of the Dutch magazine Procycling. In response to Tom Dumoulin’s threat to win the Vuelta in 2015, de Munnik intended to release a special issue of Procycling, but ultimately had to put his plan on hold until May 2017. De Munnik talked to me about the so-called “Butterfly from Maastricht” effect and shared his opinion on Polish cycling. 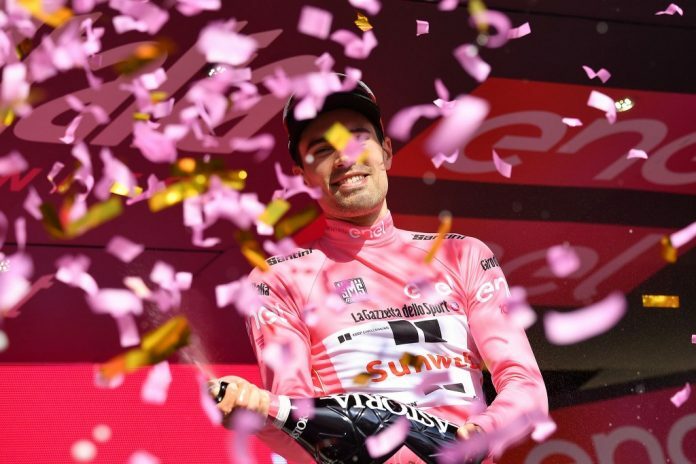 Do you think that Tom Dumoulin made a good decision to stay in Team Sunweb until 2022? Yes, I do – definitely. Tom Dumoulin is the most important rider in Team Sunweb, just as Chris Froome is the most important rider in Team Sky. Nevertheless, unlike Team Sky, Team Sunweb is willing to concentrate on one particular rider and plan long-term goals for him. If Tom Dumoulin had signed a contract with Team Sky, he wouldn’t have received as much individual attention as in Team Sunweb. He would be like Mikel Landa – a significant rider, but not the most significant. Dumoulin is still a young rider and I think Team Sunweb is the right choice for a 26-year-old. The extension of his contract was announced before the Tour de France when Team Sunweb had confirmed their readiness to fight for the highest goals. I think this shows that the team have a lot of confidence in Tom Dumoulin. To be honest, Team Sunweb’s achievements in this year’s Giro and Tour had exceeded their expectations. They thought their riders would be in the top ten in the Giro, but they were surprised at the Team’s victory. The same goes with the Tour. It’s impossible to repeat these accomplishments in the next season! (laugh). Fortunately, they are aware of that and keep their feet on the ground. I think the only rider who can repeat his own success in the future is Tom Dumoulin. Four-time Tour de France winner Chris Froome said that Tom Dumoulin would win the Tour in the future since he got better at climbing and learned to ride at his normal pace when rivals try to put pressure on him. Yes, I think Dumoulin will win the Tour in the future, but, on the other hand, nobody knows in what direction he will develop. Three years ago, when Tom threatened to win the Vuelta, I talked to Team Sunweb’s [back then known as Team Giant-Alpecin’s] coach. He said that if Tom Dumoulin and Warren Barguil were to be compared in terms of their power, the Frenchman would turn out to be stronger than his teammate. This only proves that the competition level at the Tour is higher than in any other race. Only the best riders in the best shape participate in the Tour. Yes, he could potentially become the legendary yellow jersey holder in the future, but he must continue to develop his skills and stamina in the next years. The “Butterfly from Maastricht” effect, as emphasised in your article for the English edition of Procycling, is about the growing interest in cycling in the Netherlands. But in spite of the fact that in this country the average number of bikes per resident is 1,3 and 1,2 million Dutch ride their bikes for fun, only about 6,000 people use them for racing. What’s the situation now, a few months after Dumoulin’s Giro win? The conclusion of the article you’ve mentioned is that, regardless of the national popularity of cycling, a growth in the number of professional racers occurs rarely. Hence, you’re right – Dumoulin’s Giro win didn’t increase the interest in racing. But on the other hand, I can see a lot of kids following Tom Dumoulin… Perhaps we have to wait a few years to see the effects of this fascination. Some people say that the current popularity of cycling in the Netherlands is similar to what happened in Great Britain in 2012 when Sir Bradley Wiggins became the first British rider who won the Tour. But I don’t see it this way because I think the Dutch have a completely different mentality than the Brits. Do you agree with me? Yes, I do agree. The situation is completely different. When Bradley Wiggins won the Tour, virtually nobody in Great Britain owned a bike. In the Netherlands everybody has a bicycle. My children started riding their first bikes at the age of 2,5. So, when riding a bike is your daily routine, it’s easier to start racing, especially when your parents are cyclists. A friend of mine participated in this year’s edition of Ride London and was one of 40,000 amateur cyclist, but you have to remember that many of them had already been riding their bikes for three years. I think that this last example proves that we shouldn’t compare the Netherlands to Great Britain in terms of the popularity of cycling. Definitely yes. Tom Dumoulin is like every Dutchman, straightforward and sincere – he’s just “a normal guy”. And the most important aspect of his personality is that he’s the same guy he was before his success in the Giro. Additionally, he comes from Limburg, the region which is ethnically diversified and only partially belongs to Holland (the other part is in Belgium). I think that the current political tension between Limburg and the rest of Holland may be relieved thanks to Dumoulin’s accomplishments. As a cycling journalist you do not only follow the Dutch riders. I would like to ask you about the Polish cycling and Polish riders, for example, Michał Kwiatkowski and Rafał Majka [when I mentioned Rafał Majka, Rodrick laughed out loud]. Oh yes! We published a photo of Majka with bruises and a ripped jersey as he was crossing the finish line after his crash in this year’s Tour de France. I think that the photo illustrates the Polish riders’ mental strength. They combine their never-give-up mentality with excellent skills. I interviewed Majka and perceive him as a nice guy and a great ambassador of cycling in Poland. I don’t know your opinion, but mine is just as I’ve said. And let’s look at the results Kwiatkowski and Majka achieved at a relatively young age – they’re incredible! There is only one thing about Polish cycling that makes me feel worried. What will Polish cycling be like in the future? Who will be the new young riders? Finally, I would like to add one more comment. More and more riders treat the Tour de Pologne as the most important race in the season, so, definitely – Poland attracts professional cyclists’ attention.